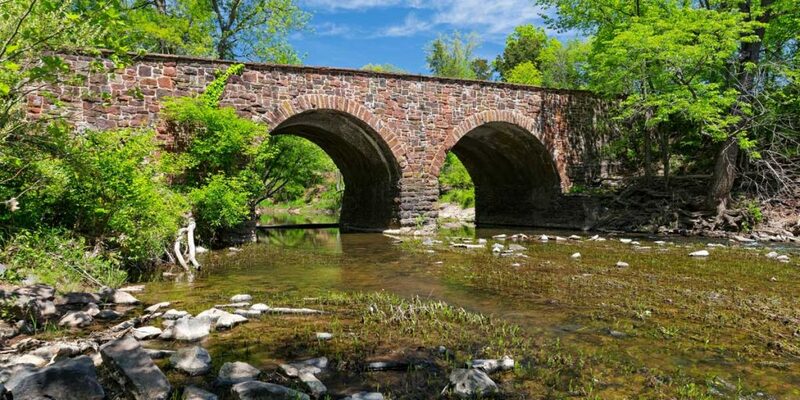 It’s that time of year again at Arcadia Run: spring-cleaning! The snow has melted (hopefully), the days are getting longer, and warm weather is right around the corner! Spring forward into cleaning your apartment home with our one stop spring cleaning checklist, covering everything from supplies to lists to what to do first (and what not to do). We want to help make spring-cleaning as painless as possible for you, so check out our tips below! Plan of attack: Make a list of the rooms you want to tackle, and in what order, before you get started. If your roommate is helping, the best idea is to divide and conquer. Assign each person a room and focus on your room before helping someone else with a larger space. If you are cleaning by yourself, give yourself a realistic timeline to get everything done. Supplies: Figure out the supplies you will need to clean each room and if you need extras. Pick up larger quantities of items that you will get used up faster, such as paper towels. For larger items such as vacuums, determine who will need it the most and let them use it first. Tip: Try to use as many cleaning items as you can before they run out and you need to replace them. If you have small children, be sure to keep all cleaners out of their reach. One thing at a time: Work your way around each room by focusing on one thing at a time, for example, start with cleaning your stove, then move to the fridge, then cabinets, etc. If you know that you REALLY need to organize your cabinets, start there! Taking care of the item that gives you the most stress right away will make you feel even better about spring-cleaning. Keep, Toss, Donate: Almost everything you are going through during spring-cleaning, such as clothing, shoes, or even small pieces of decor, can fall under one of these three labels. Clothing items and shoes that you have not worn for the last year can be donated (no, you don’t really need that denim skirt from college) and some miscellaneous clutter can be tossed. Keep things that you know will withstand some wear, but toss those grimy sponges and dish towels that have seen better days. Getting rid of space-eating clutter will leave your apartment home feeling light and organized! Wash: Now is the time to wash everything, and we mean everything! Wash all of your bedding, including duvet covers and blankets. If you are donating any clothes, be sure to wash those as well. For those who are going an extra step and organizing their closets/drawers, when in doubt, wash it again. If you read our last blog, you may have already washed your dishtowels and bath towels, but if not, don’t forget about your smaller linens! Disinfect: We won’t get into the gross details about all of the germs that inevitably float around, but they get everywhere, including inside your apartment! Pay special attention to places in your apartment home that you touch often, such as doorknobs, remote controls, faucets, and the refrigerator door handle. Rubbing those down with a disinfectant wipe will reduce your chances of getting sick or breathing in allergens, and no one wants to be sick when spring comes around! Take your time: Don’t stress about getting everything done at once. If you start feeling overwhelmed, take a break. Figure out what you WANT to get done, and do those things first. Save some smaller tasks for later or even another day. Going at your own pace will make cleaning less stressful and give you a chance to do a thorough job, instead of rushing through everything. These are just a few of our spring-cleaning ideas, and feel free to add yours to our checklist! 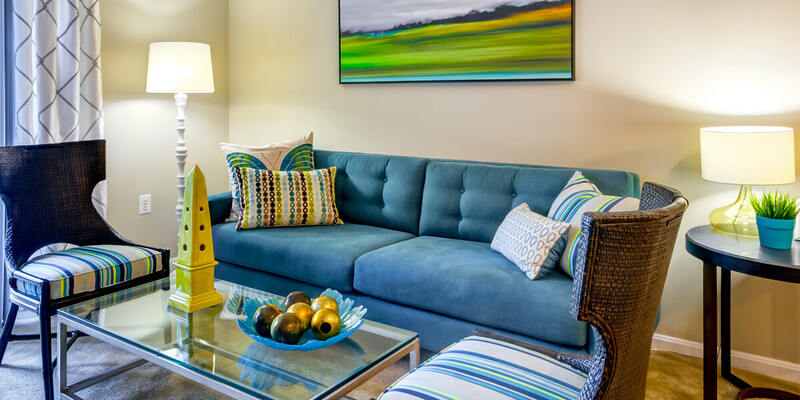 For more information about our apartment homes, visit Arcadia Run online. Even though spring-cleaning is right around the corner, there is no need to deep clean your apartment home at Arcadia Run just yet! 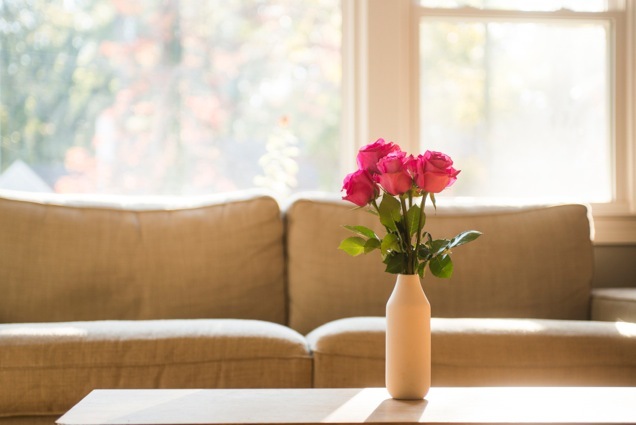 However, there are a few easy things you can do to freshen up your living area in anticipation of the warmer weather. 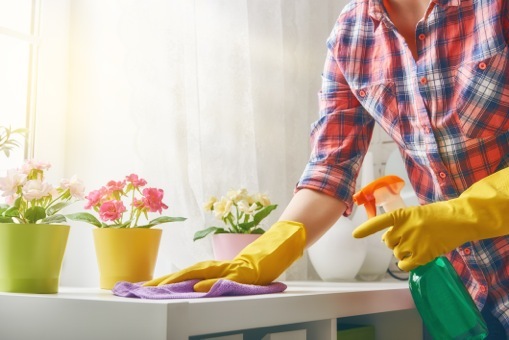 For those of you who like to get a head start, following some of these easy tips will make you feel more prepared for when you do start your spring-cleaning! 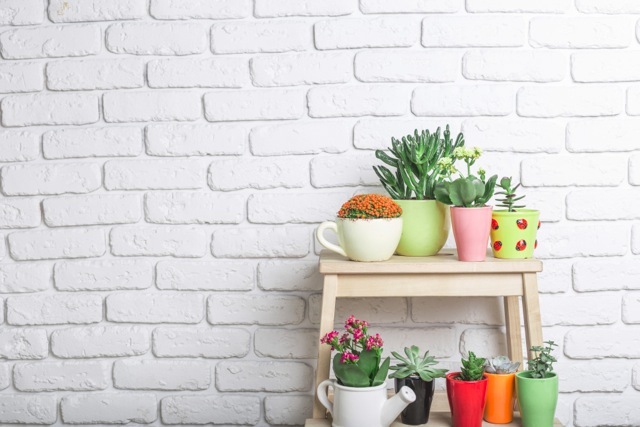 Check out some of our favorite ways to refresh your apartment home this spring. Even though it may still be chilly outside, open your windows for just a few minutes in the morning or during the day on the weekends. One of the best times to open your windows is when you are cleaning up or vacuuming. Let some of those dust particles out and let in some fresh air! Shake out rugs outside and try placing them in different places for a quick new look in your apartment home. 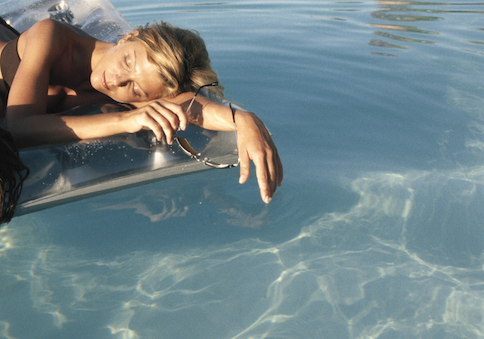 Were you feeling lazy this winter? Don’t worry – we were too. But now is the time to go through that stack of magazines and post-holiday sales catalogs you stockpiled and save only the ones you are absolutely going to use. Take the holiday cards down off the mantle or fridge and store them away, and clear any excess mail or clutter from your counter spaces. Tip: if you have not used or looked at something in the last month, then it is probably safe to toss or put away. We know we aren’t the only ones who are happy that it is staying lighter out later in the evenings! Open your curtains and blinds throughout the day and evening to let natural light in as long as possible. If you are feeling more ambitious, change out all of your old light bulbs that have gotten dim during the winter. Be sure to keep light bulbs out of reach if you have small children in your apartment home. Take all the extra linens and cloths, such as dishtowels and blankets, and wash them. Chances are you probably didn’t do this a lot during the winter (no judging here), so now is the perfect time to freshen up your linens! Change out your bathroom towels and hand towels as well, and store winter linens away until next year. Once you start your spring-cleaning, you’ll be able to check this small task off of your list already! These ideas may seem small, but they will make a big difference in your apartment home! 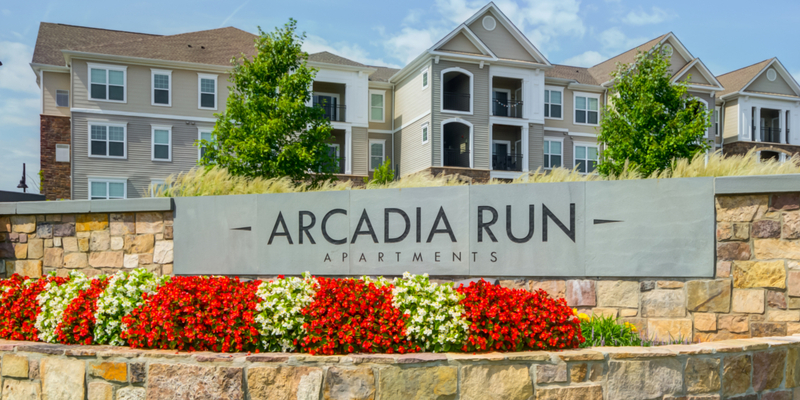 Check out http://www.arcadiarun.com/ for more information about living at Arcadia Run. Unlike many apartment home communities, Arcadia Run allows our residents to have pets, as we want to offer you the best experience possible! If living a fulfilled life includes coming home to your pet everyday, we are excited to let you know that this is possible at Arcadia Run. 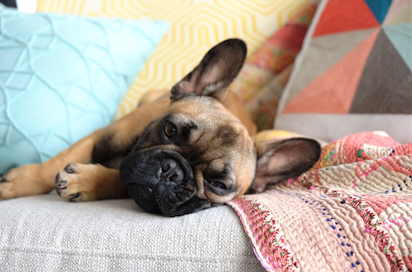 As many of us already know there are certain dog breeds that are best when living in an apartment home, and we want to share some of them with you below! Bichon Frise: Ask anyone who owns a Bichon Frise, these dogs are typically the perfect size for an apartment home, and although playful, they do not bark as often as other small breeds. Maltese: If you want a dog, but don’t want the hassle of cleaning up dog hair, this breed is the perfect fit. Maltese’s do not shed and are very affectionate towards owners, so they make great companions! Boston Terrier: Because of their compact size, this breed is perfect for apartment living, but they do need plenty of walking, as they are very energetic from time to time. Havanese: Another small dog, Havanese do not shed and are very snuggly and clingy with owners. Although this breed generally prefers lounging around inside, they are still very playful, but not overly jumpy or yappy. Chihuahua: Although all of the dogs on our list are quite small, this one takes the cake. With little need for exercise, and a great relationship with their owner, a Chihuahua may be the best dog breed for you! Pug: If you travel a lot, or are often times away from your apartment home, this would not be the best breed since they can be clingy. A loyal breed, Pugs are quiet, quite lazy, and very small! Toy Fox Terrier: A very intelligent breed, Toy Fox Terriers are very easy to train and are small enough for any apartment. They love to cuddle and depending on the personality, may not need a ton of regular exercise besides short walks. Daschund: The cuteness of this breed alone is enough to convince us that they would make a perfect pet for anyone, but their small size helps too. With short legs, it is easy to exercise this dog inside or outside. French Bulldog: This is another breed that rarely barks unless given a reason to, and they are compact for apartment dwellers. They are very playful and do best with lots of human contact. Before bringing your dog home to Arcadia Run, be sure to contact our leasing office for more information on specific breed and weight restrictions! Our pet friendly apartment home community is sure to be a great fit for you and your pup, so stop by today for a tour and to get even more information about leasing a brand new apartment home! First things first, figure out who will be joining you for Thanksgiving. 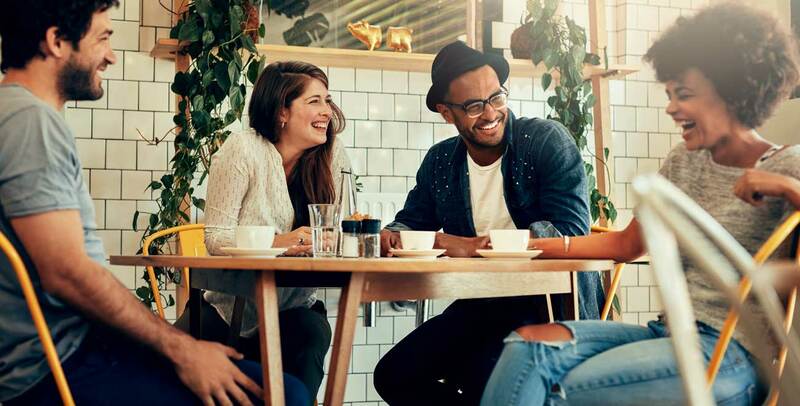 Once you have a head count, you can start planning the seating arrangements and calculating how much food you will need. Ask that everyone RSVP as soon as possible, so there aren’t any last minute additions. Between all of the shopping, prepping, and cooking, there will be a lot to do! One of the best ways to reduce stress before everyone comes over is to divvy up the responsibilities. If you’re out at the grocery store, have your roommate start cleaning the apartment. 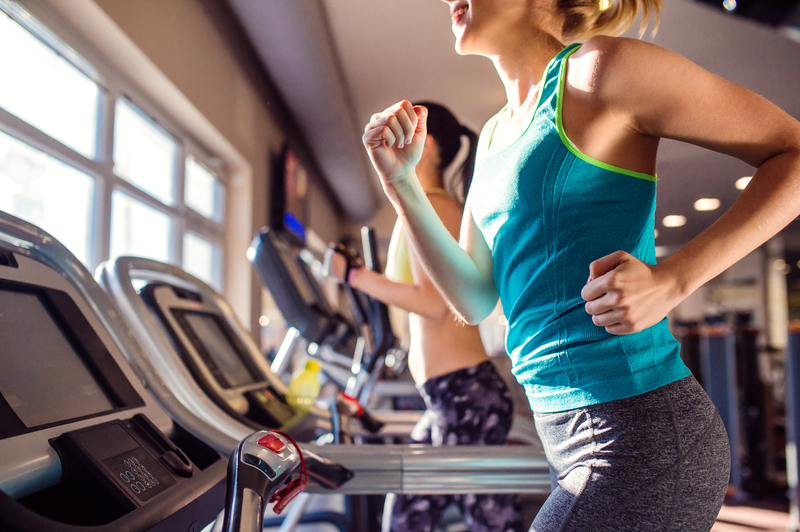 When you get back, you can team up and get everything done in less time! When it comes to decorations, try not to go overboard. You’ll have your hands full with preparing the food and eventually the cleanup, so you don’t want to add to the list of tasks with tons of decorations. Keep it simple and classy with a festive tablecloth, a wreath, or a few seasonal candles scattered throughout your apartment home. A few simple touches can go a long way. If you’re having more than 3 or 4 people over, it’s completely fine to ask guests to contribute something to the celebration! Make sure you specify what you would like people to bring over, so you don’t end up with 3 cheese platters! Once you’ve made your lists of everything you need, see what you are still missing and ask guests to fill in the gaps. Some easy things for people to bring would be a bottle of wine or champagne, desserts, or appetizers. 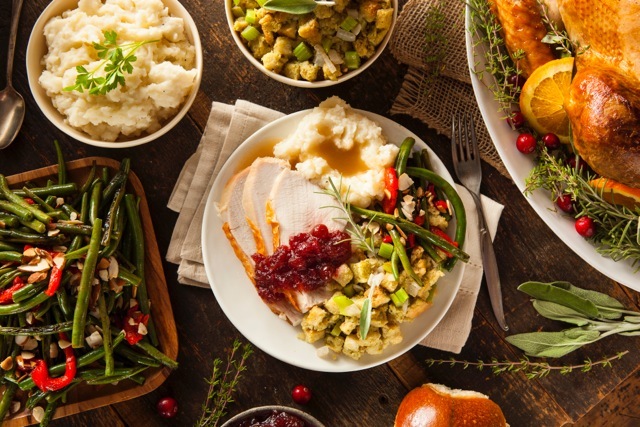 Thanksgiving dinner is wonderful, but the aftermath can be a hassle, especially if you’re hosting! One way to cut down on the giant pile of dishes after your meal is to clean as much as you can after every course. Once people are done nibbling on appetizers and you’re about to serve dinner, clear and put away all of the appetizers. Remove empty dishes from the table throughout the meal and give them a quick rinse before putting them in the dishwasher. Save the larger dishes, such as the turkey pan, for after dinner. All of these tips will help reduce your stress when hosting Thanksgiving, but the most important thing to remember is being thankful that you are sharing the day with friends and family. For more information on how you can make Arcadia Run your home, visit us online.